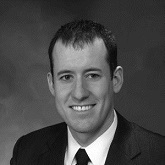 Matt Keating is the Senior Vice President at Huntington National Bank which he began in August of 2016. He previously worked for FirstMerit Bank and Key Bank. Matt received his Bachelor’s in Finance from The Ohio State University and his MBA from Miami University. Matt previously served on the Board for Rebuilding Together of Central Ohio whose vision is safe homes and communities for everyone. Matt has been married to his wife, Julie, since 2012, and is a member of Brookside Golf & Country Club.